Life of a Catholic Librarian: Tea Time with Tiffany #14 - Teaching & the start of a new school year! 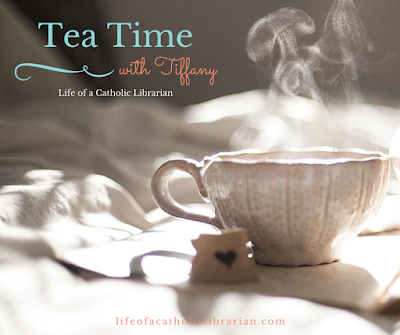 Tea Time with Tiffany #14 - Teaching & the start of a new school year! Back to school mania is on my mind today, so that's our topic. I started teaching this week, so I speak briefly about that, and solicit your thoughts on what the freshness of September brings into your own life. St. Thomas More, pray for all students! 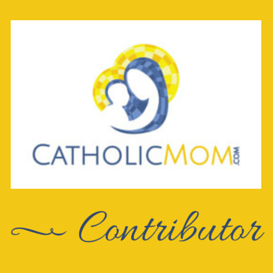 St. Elizabeth Ann Seton, pray for all librarians! I'm teaching a credit bearing research methods course this semester. Eeks! What does September Welcome mean to you? Do write in! That's great you're teaching a course--I always wondered if I would like teaching research at a college level but I'm a little intimidated. So, it's another new school year (#7) for me! I can hardly believe it. And my second year at this school. I'm slightly more relaxed because I'm not brand new to the school, but at the same time I'm feeling the stress of getting back into an intense schedule--which changed, twice, and some of my classes merged to contain 30 or 31 kids--and I'm trying to implement our new curriculum fully. I'm a bit overwhelmed. Plus now my time is less flexible and I'm seeing less of my boyfriend who works later into the night. I miss him. So, needless to say, praying a lot, trying to adjust. Probably like you with two kids in school now! I wish you all the best school year yet. Aw, thanks Kate! I wish you a good year too! Yes, lots of adjusting. Much prayer! Tuesday is going to be new for me too - I start my preschool job! I will be with another teacher, and we will have 9 two olds in our class - !! Please pray for me on Tuesday morning. I know I will need the extra strength. :0 I hope all goes well for you and Anne tomorrow too!